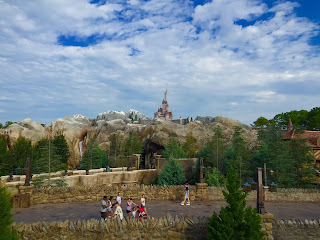 Most of New Fantasyland is built on land formerly occupied by the 20,000 Leagues Under the Sea attraction. As a tribute, Disney put this image of the Nautilus submarine into the rock work at Under the Sea - The Journey of the Little Mermaid. 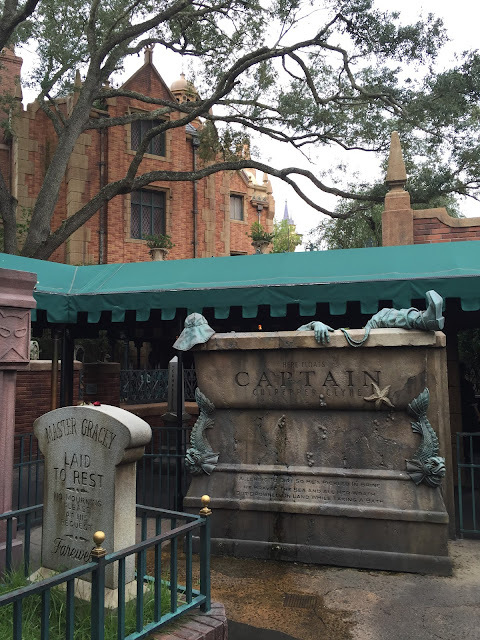 It can be seen from the standby queue while you are still outside of the building. Under the Sea, in the New Fantasyland section of the Magic Kingdom, has one of the most detailed queues of any Disney attraction. It can be said that walking thru Prince Eric's Castle is just as entertaining as the actual ride. 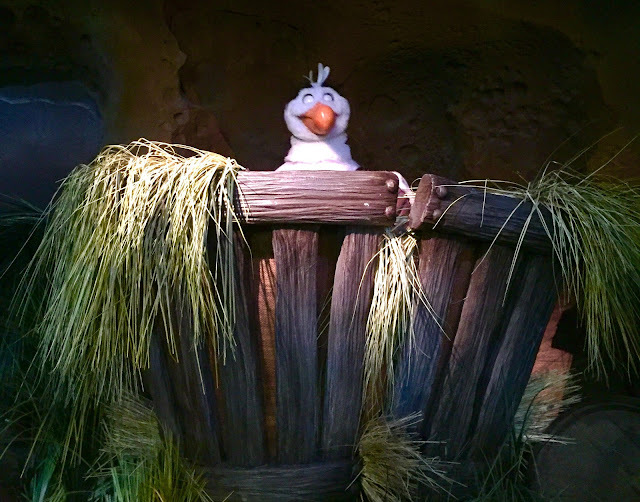 Scuttle can be found throughout the attraction, and this audio animatronic is part of the queue. Although FastPass can be useful, I certainly recommend walking thru The Journey of the Little Mermaid standby queue at least once. One of my favorite spots in Hollywood Studios is Walt Disney: One Man's Dream. This is a great tribute to the man who started it all. 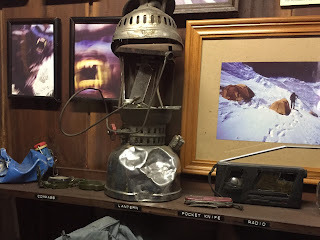 Recently, they moved the display of Walt's office out to California, which was disappointing. However, they still have the area depicting his announcement about the "Florida Project." I took this shot a few days ago, and put on the black and white filter to give it the original look from the 60s. The Osborne Lights at Hollywood Studios are being installed for the last time. 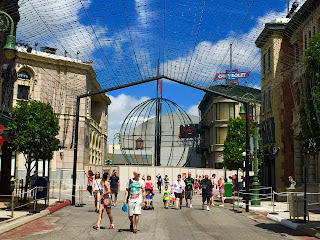 After this Christmas Season, the Streets of America area will be torn down to make way for the new Star Wars "land." Although there are still more than 40 days until the first lighting, most of the lights appear to be in place. However, the globe you see here will be moved into its usual location near Lights, Motors, Action. 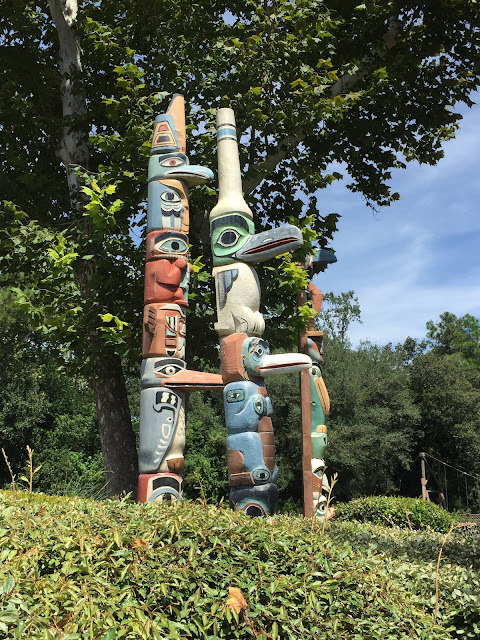 These totem polls in Frontierland represent part of the original landscape of the Magic Kingdom. Although Splash Mountain and Big Thunder Mountain are now the focal points of that area, I like how they kept these original decorations for nostalgic purposes. 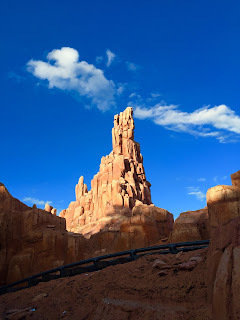 I took this shot a few days ago while my tour guests were riding Big Thunder Mountain. 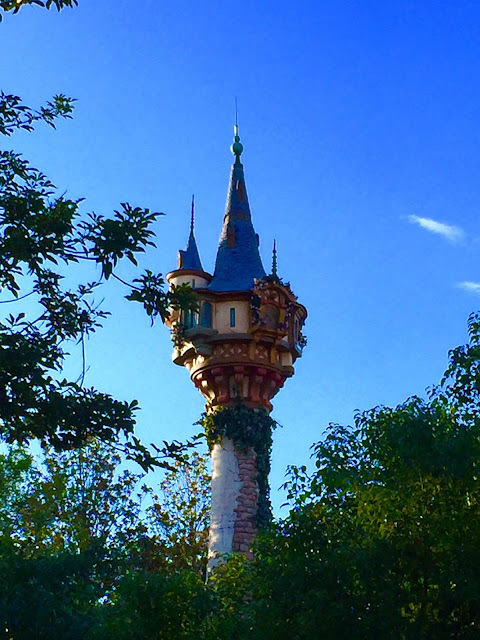 Rapunzel's Tower is in a relatively new area of Fantasyland. It is part of the Tangled restroom complex that is in the spot where the Skyway to Tomorrowland station once sat. I took this shot from near the side entrance to Memento Mori. The Main Street Trolley show is a big part of the entertainment found in this area of the Magic Kingdom. 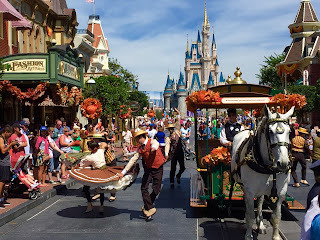 The music and dancing, along with the horse drawn trolley, help to bring out the turn of the century feel. I took this shot today while walking "right down the middle of Main Street, USA. 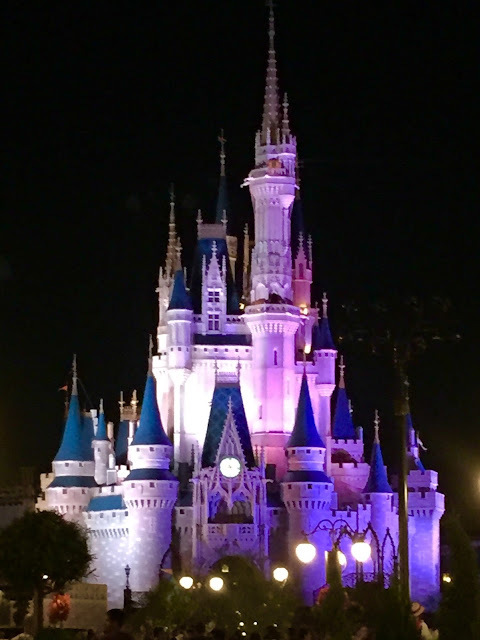 It has been a while since I took a nighttime shot of Cinderella Castle. I was at the Magic Kingdom tonight with my family when I took this one. 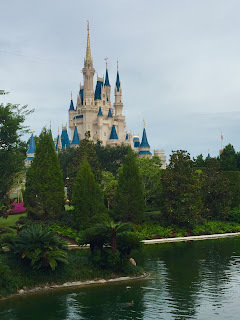 I was standing in the area of the new Plaza Gardens West, not far from Casey's Corner. 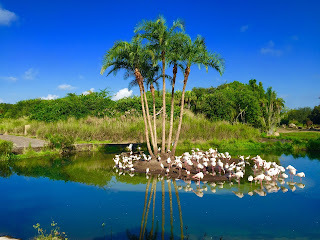 One of the reasons I love Kilimanjaro Safaris is the many unique views that are typically not seen in Florida. 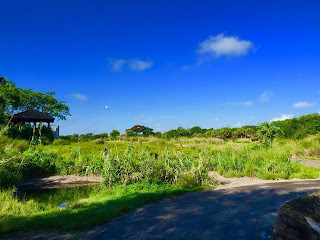 Disney did a great job of creating an African Savannah inside Animal Kingdom. In addition to the animals, the foliage is also what you'd expect on the dark continent. You won't see any palm trees in this shot. The Legends of Hollywood gift shop is located on Sunset Boulevard at Hollywood Studios. 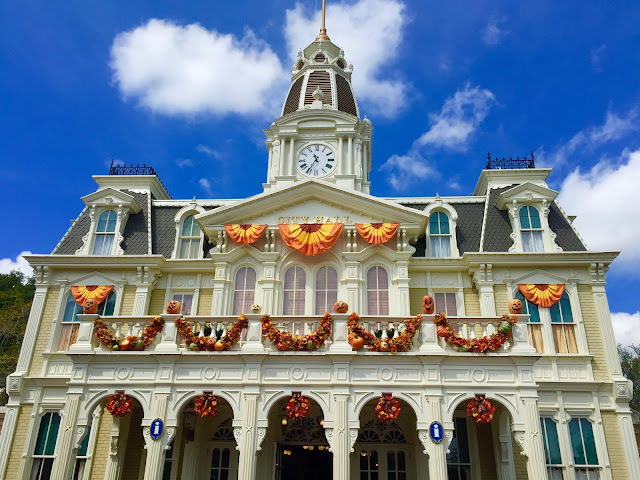 Although it is currently being used to sell Frozen merchandise, it still has the look of a theater entrance from the1930's. The ticket window has several interesting items, including this box of popcorn. 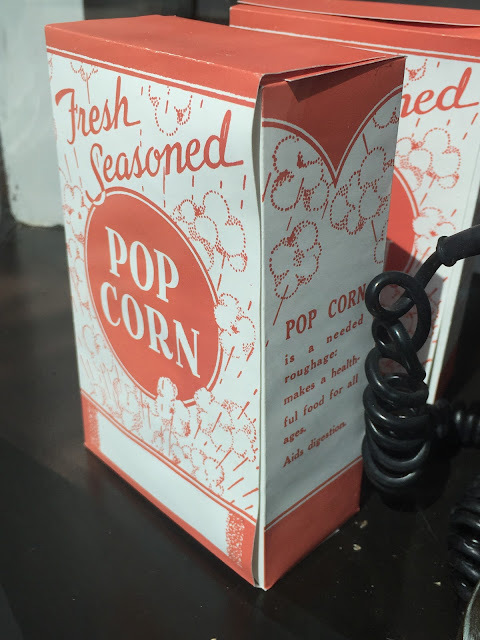 I like how the side of the box talks about the health benefits of popcorn. 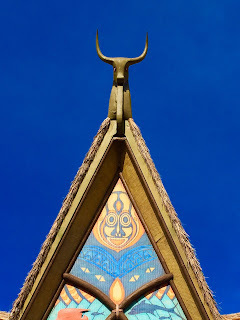 This is the peak of the building that contains Walt Disney's Enchanted Tiki Room. 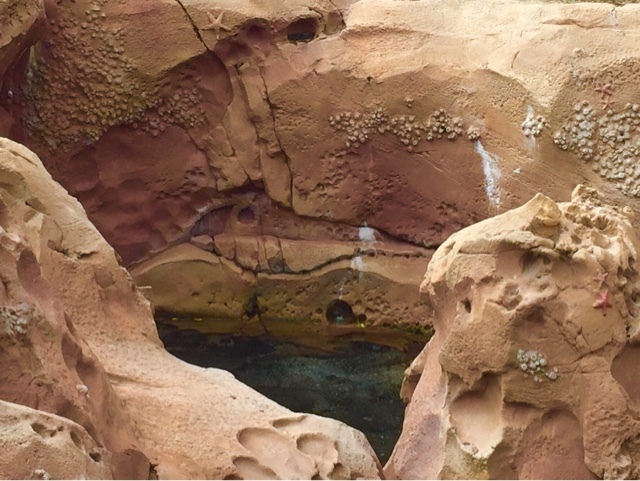 It can be seen from both Adventureland and Frontierland. The animal Disney chose to put atop this roof can be interpreted in two ways. 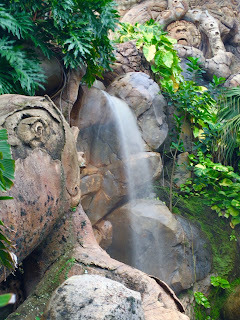 When viewed from Adventureland, it is an Asian water buffalo. However, from a Frontierland standpoint, it is a Texas longhorn steer. I took this shot of Monorail Lime this morning, while at the Transportation and Ticket Center. It was a great morning for pictures, with blue sky as a backdrop. I used the Tadaa iPhone app to create the blurred background. 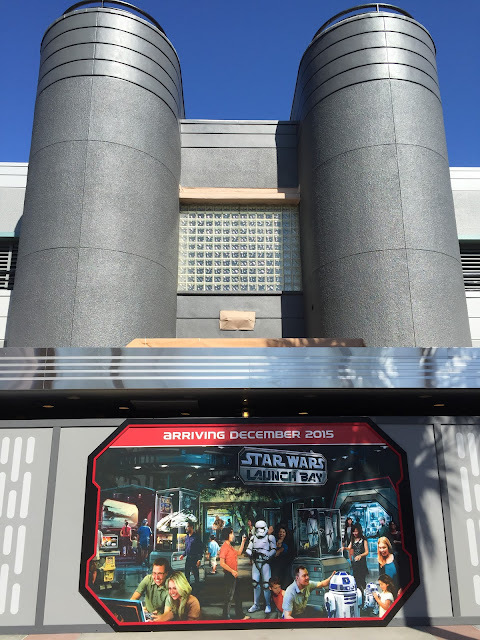 There are major changes in store for Hollywood Studios, and many of them focus on Star Wars. The first is opening in December and is called Star Wars Launch Bay. It will be an interactive experience that will include the new movie as well as the first six films. 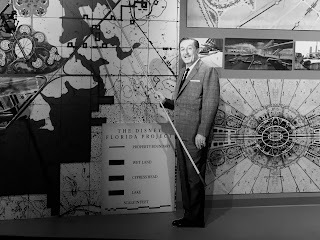 It will be located in the old Magic of Disney Animation building, which has already seen a repainting of the exterior. There is also a large sign with an artist's rendering of the new attraction. Expedition Everest may have the most detailed queue line in all of Walt Disney World. Many of the items are authentic, and come from the area around Nepal. This "damaged" lantern has dents that form a sideways hidden Mickey. 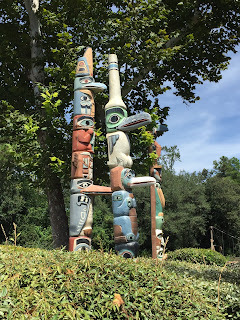 I took this shot last week while enjoying Animal Kingdom for our son's birthday. The Fountain of Nations has been at the center of Future World since Epcot's opening day in 1982. 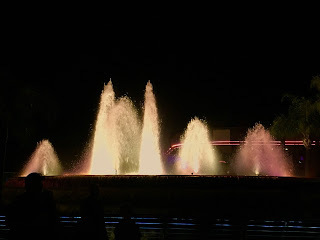 On that day, representatives from 35 different countries poured a container of water from their nation into the fountain. I took this shot tonight, as we were leaving Epcot. 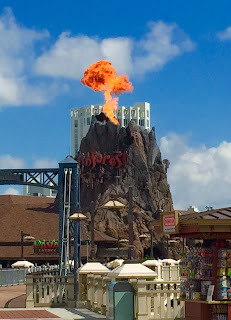 The Rainforest Cafe at Downtown Disney is a well themed restaurant both inside and out. 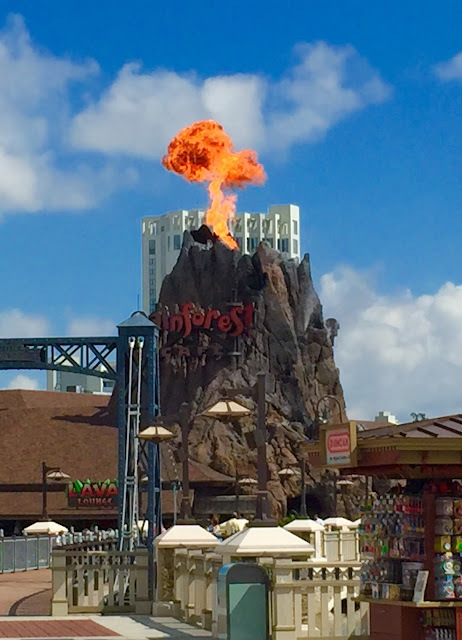 Every so often, the volcano erupts and a plume of fire shoots into the air. I was able to grab this shot a few days ago from the new footbridge that cuts across the water. 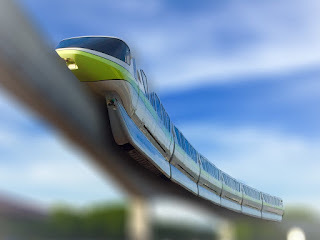 Saratoga Springs is a huge resort located next to Downtown Disney. As I walked around the grounds yesterday, I found many nice things to photograph. I particularly liked these hidden Mickeys. 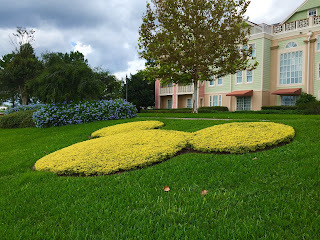 This is an example of the subtle Disney touches you will find at the deluxe resorts. Just beyond the elephants on Kilimanjaro Safaris at Animal Kingdom, you will come upon this island filled with flamingos. If you look closely, you can see that the island is shaped like Mickey's head. 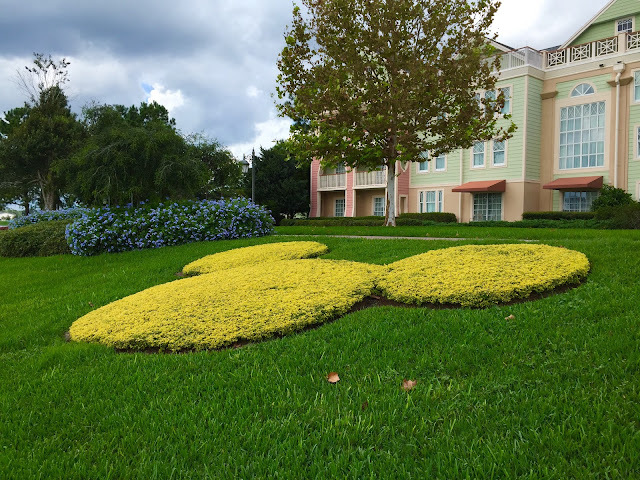 It is one if the largest hidden Mickey's to be found at Walt Disney World. 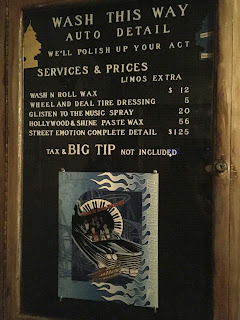 This "mural" is located on a wall in Innoventions West at Epcot. It is a timeline of all of the major Epcot events and openings through 2007. If you zoom in on the photo, you can see each item, and the year it took place. I took this panorama yesterday. 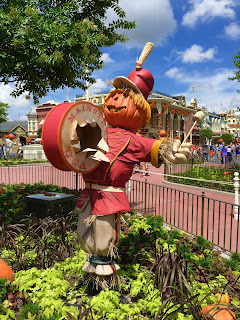 The Magic Kingdom was recently decorated for Halloween season. 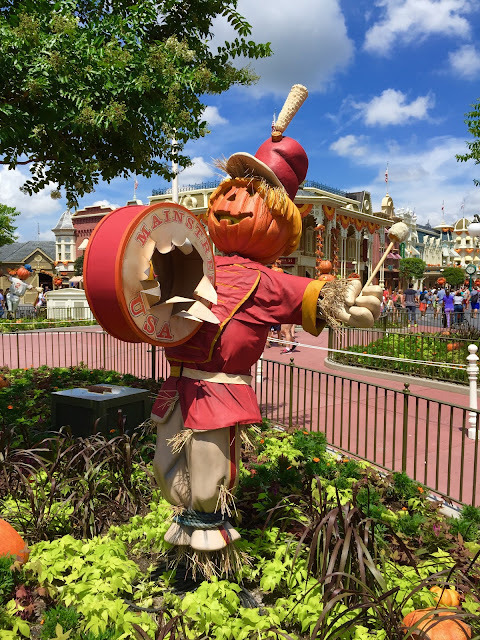 This scarecrow represents three of my favorite things: Disney, drums, and Halloween. 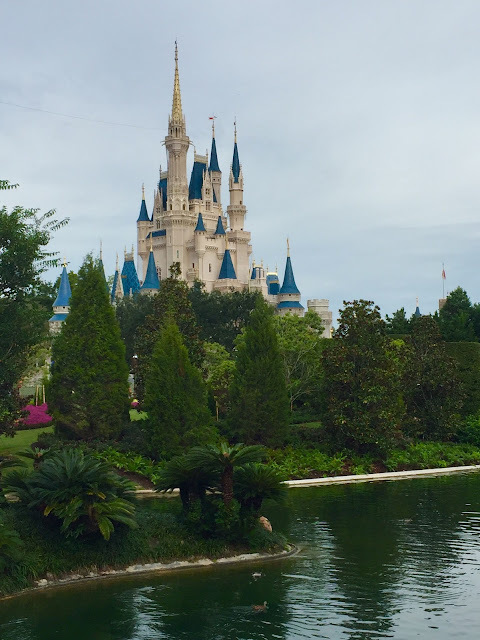 I took this shot today, while giving a Magic Kingdom tour. Beast's Castle sits atop Be Our Guest restaurant in Fantasyland. Here is a perspective you can only get while riding the Seven Dwarfs Mine Train. I snapped this shot shortly after the park opened this morning. This area is in the back of the United Kingdom pavilion at Epcot. 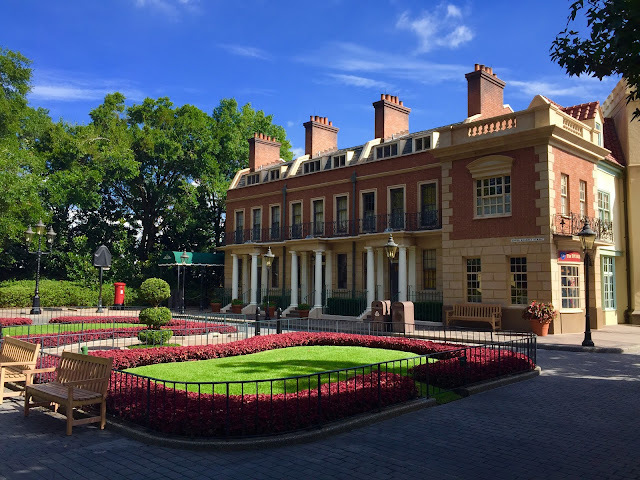 It is a mini version of London's Hyde Park. 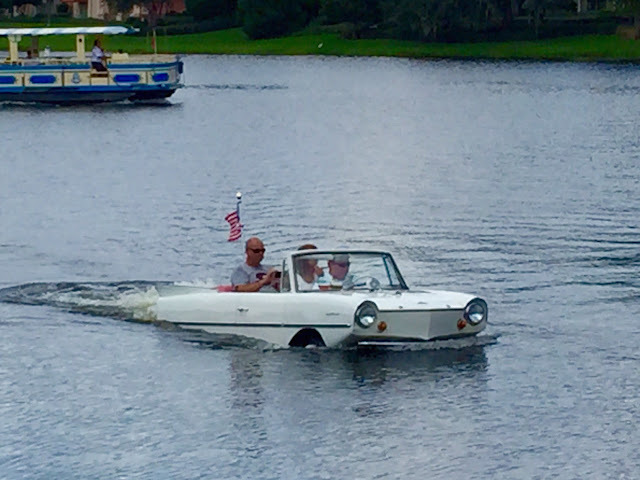 I took this shot this morning, prior to the World Showcase opening. You can get some great photos at this time of day, before the crowds arrive. 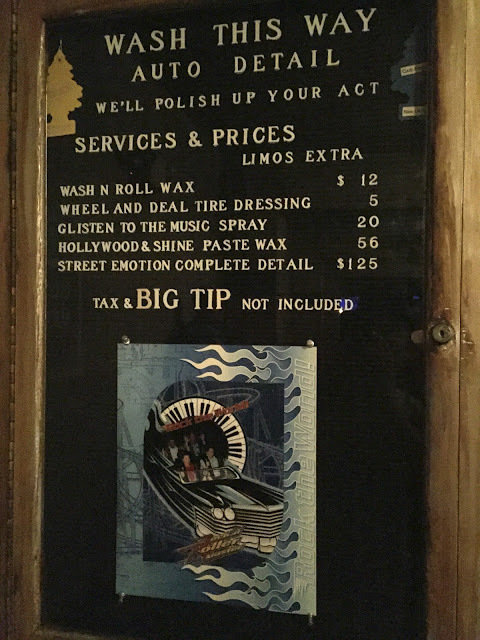 This sign is located at the end of the queue in Rock 'n' Roller Coaster. 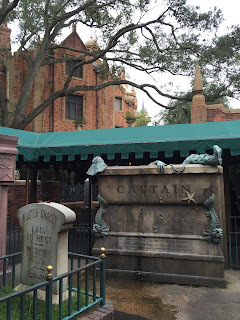 It is in a relatively dark spot that isn't seen by too many guests. I was in the front row waiting area today when I took this shot. I love the references to Aerosmith songs.